I am going to confess to something which I am not proud of: at age 15, I proclaimed to my English teacher (the famed Dr Byrne, of whom more later) that Oscar Wilde was a better playwright than William Shakespeare. And I wasn’t being deliberately argumentative, like I usually was. I just didn’t like Shakespeare at all. I didn’t understand it, I didn’t relate to it, and I certainly didn’t know why I had to study it. Then something changed my view of Shakespeare forever: the 1996 RSC version of Midsummer Night’s Dream. I was learning a Shakespeare speech for a LAMDA acting exam, something I am incredibly glad I was forced to do, and for the “discussion” part of the exam we had to be able to discuss the play in its entirety. I picked the DVD up from the library, only because there was no video, and settled down one afternoon in the kitchen. I distrustingly loaded the disc into the PC (a new experience) and shuffled onto a hard kitchen chair to watch it. The set was incredible: from the man-made lake to the stand-alone doors leading to nowhere to the suspended light bulbs illuminating the forest. It was utterly beautiful. I watched this in 2001, with all my teenage disregard for the bard, at our enormous and unwieldy computer, and I was entirely gripped. The beauty of the staging drew me in, but the relevance of the words was delivered, it seemed, directly to me and directly to my own context. It spoke to me, in a way I hadn’t been spoken to by a play before. I laughed, I cried, and at last I understood. I’m re-watching this version now to use to teach my year 7 and I am brought back again to the start of my love affair with the bard. Indeed, my single favourite thing about living in London is that I can see live Shakespeare for only £5 a show at the Globe Theatre. Incidentally, another gem worth a watch is the Globe on screen version of Much Ado About Nothing. I remember watching this production in the theatre itself at the tail end of one of my most stressful teaching terms, and despite not even knowing the story (although my helpful teacher theatre companion did her best to enlighten me en route to the playhouse) found myself laughing uncontrollably. But how to make my students feel this? I really believe that the key is a great version; reading words on the page, even as an English teacher, is nowhere near the same as an accomplished actor conveying the lines. So much about plays, anyway, is in the staging, the direction and the delivery of the lines; a novel’s intended audience is only ever an individual, its intended reader’s setting irrelevant, its intended backdrop a blank page. A play clearly has very many more complex layers than this. 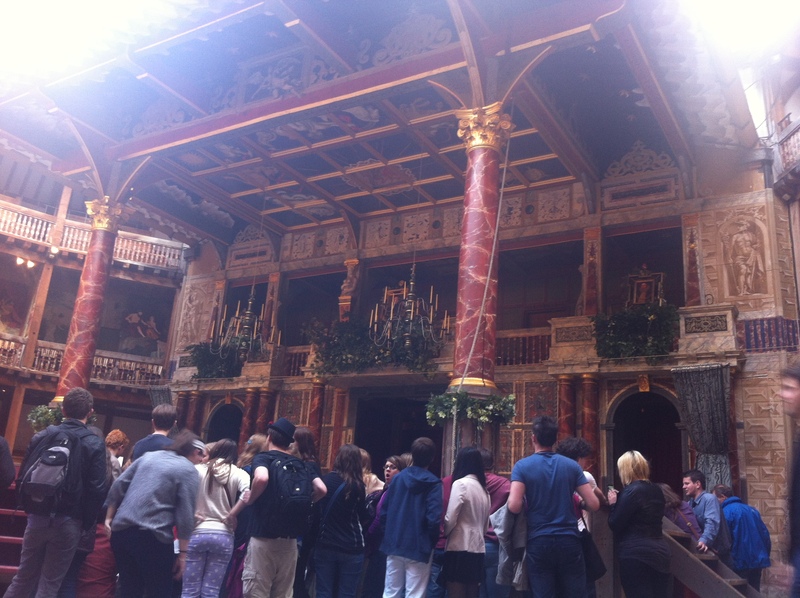 The brilliance of a Globe production filmed is not only in the superb acting, but in the nearness of the visible audience, all (in the Much Ado Globe on Screen, and in my own experience) cloaked in rain-macs and huddled to each other and the stage; all interacting with the performance. I am certain the responses of these very familiar-looking modern humans will help my students to appreciate that yes, real people right now laugh at this stuff. I believe that Shakespeare must be seen first, and acted; not read and analysed to death (although that can come later). On showing my year 9 set 5 Baz Luhrmann’s Act 1 Scene 1 of Romeo and Juliet, my students were bewitched. They really loved it. As one commented: “I didn’t think it would be about people like me!” She might have found the language a turn-off when presented with the page, but seeing the live action challenged that initial distaste for Shakespeare. I, and I am sure all English teachers, am begging directors and producers everywhere: please, please keep giving us game-changing, earth moving and relevant Shakespeare that we and our students can love. After all this, I’m still not entirely sure I love reading the stuff. But watching – that’s an entirely different story. I must confess, I once bought a book from Amazon by one of my favourite authors and was devastated when it turned out to be short stories (those descriptions can be misleading… or I’m an impulsive buyer). The book sat on my bedside locker for months, until I felt too guilty to buy a new book and had to read it. I didn’t hate it. In fact, I really rather enjoyed it. And this prompted me to wonder why I was so prejudiced against short stories. So I think what it boils down to is that, for me, short stories are simply too much work. They are the step between reading a novel and a poem; the former you can absorb in a state of near passivity; the latter you are required to read again and again, pencil in hand, annotating all the way (who studied English Literature at university and manages to read poetry without a pencil? Please teach me how). If poetry is “language condensed”, then short stories are very nearly there. 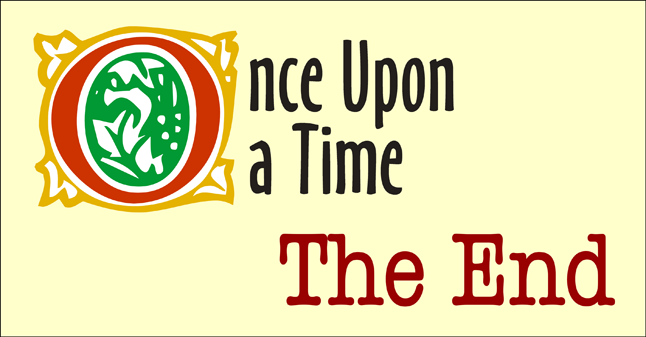 The ideas, themes, character and language are all the more pertinent and powerful for the shortness of the tale. The structural issues you only glancingly pay attention to when reading a novel begin to jump out at you with force in a short story. It just all seems too deep. I began teaching short stories with year 9 set 2 three years ago. This was an incredibly able class; they are the year 11 I have so often raved about to my close friends this year, and I’m banking on a host of A*s on results day. I wanted them to experience more of literature than just one novel; I wanted to explore different authors, genres and times with them. We began with Raymond Carver’s “Fat”, which is made for teaching to girls. The way Carver “shows not tells” us about the characters, the subject matter (if you haven’t read it, the clue is in the title) of the tale, the sparse but beautifully chosen language and the length (it is maybe 5 pages long) all allow an engaging and edifying approach to the unit. My year 9s also read Poe’s “The Tell-Tale Heart”, James Joyce’s “The Dead” and “Eveline” and J. D. Salinger’s “Franny”. I have taught none of these since, despite utterly loving teaching them, mainly because I’ve found different short stories which seemed better suited to my various classes – not in terms of ability, but more in terms of interest. There is too much to choose from the great literature that is available to wheel out the same stories year on year. I especially loved reading “The Second Bakery Attack” by Murakami for a “fun” (read: non-directly related to the curriculum) lesson with year 12. Another favourite of mine is “Examination Day” by Henry Slesar: a great text for a KS3 class, introducing them to dystopian literature. In short, short stories are an English teacher’s best friend. They are ready-made for any class; clearly shorter and so more digestible for less confident readers, but open to a challenging scheme of work containing multiple ones for the most confident students. It has been a long time since I delved into my favourite type of book: books that kids love. It has been a complete treat to be able to read some extremely entertaining books, on the premise that as a teacher I should probably 1) be aware of what my students enjoy reading, and 2) be able to share this knowledge with my more reluctant readers. Second only to results day (some of us are in it for the glory, to our eternal discredit) my favourite thing about teaching is when a student comes up to me, thrusts a book into my hands and says “Miss, you need to read this!” and then I go home and absolutely love every minute of reading it. Seriously, it doesn’t get any better than this. I’m going to write about texts I believe students must read later; the below aren’t must-reads; rather they are vital gateways to enjoying reading in students’ spare time. I’m going to put a caveat on this that I work in an all-girls’ school, so these books might seem a little more appropriate for your ladies than gentlemen. So, below are some of my favourite books, in no particular order, which students have recommended, along with some ideas about who I would go on to recommend these for. I noticed an extremely gifted year 8 student reading this in a library session, and worried it wasn’t challenging enough for her. In fact, it probably wasn’t; but the fact that it was her eighth time reading it, and that I have led a lot of more reluctant readers to it since, allows me to forgive her just this once. Cassidy’s novel has a variety of rubber stamps from the book industry: it was shortlisted for the Carnegie Medal and the Whitbread Book Award and won the Booktrust Teenage Prize. It’s a great story involving murder, creatively told. Your year 7 and 8 students will love it; your reluctant year 9s will definitely get something out of it. Possibly one of my favourite books ever, and one of my most successful re-recommends. This is one of those books I staggered into school on four hours sleep for because I just did not know when to stop. This was first recommended to me by one of my most widely read year 10 students, and now serendipity has made someone lose their library copy of it in my room. I could give it back, but I have some repeat-offenders who have taken to it in detention. I’m a greater-good kind of person. The structure of this novel is its main selling point: incredibly creative narrative jumping all through time, as the title would suggest. At its heart, though, this is a romantic tale full of slush, not to mention some great vocabulary. I’d probably recommend for year 9 and above. Major warning: there is a film version. I tend to find this makes some of my students immediately discount reading the book as they can just see the film. I’d hold off telling students it even exists. This book was recommended to me last year by an amazing year 7 student, who brought me dozens of books to read on an almost weekly basis. This was definitely my favourite. An undeniably easy read, it is certainly one for our non-readers to whet their appetite for reading. Extremely short and told in the form of notes on a fridge between a mother and daughter, this explores relationships and family tragedies convincingly. Students love the note aspect, especially how they are presented (often pictorially). I’d recommend to Key Stage 3 reluctant readers; or any Key Stage 3 student before the holidays – they can read something easier if they also take out a Dickens. Them’s the rules. My year 9 tutees are my best book recommenders. I’ve taught them since year 7 so it has been a long time in the making, but when I’m stuck for something to read I sneak a bit of tutor time to pick their brains. One of the Beliebers (who has so far recommended about 7 excellent books for me) told me to read this, and I really did love it. Another one of those mushy romantic stories – they do love them so – this one also explores ideas of bereavement. Gorgeously written, and again some nice presentation for students needing the safety of images. Not to down-grade it – there’s a lot of words here too. I think year 7 and 8 could read it safely, although some of its themes might be a little boundary-pushing; this one comes into its own for year 9 reluctants. I’ll definitely be revisiting this topic, not least because I’m always reading something a child has thrust onto my desk in the English office. Sometimes I truly don’t know what I’d read without my students. Many months ago, I was taking part in a focus group on challenges students face in our current education system and I remember posing a question to the group. What I want to know, I remember saying, is what makes this kid different. Plenty of my students face immense challenges, and they fail. How is this one, who has faced every challenge imaginable, thriving? At that discussion, my question was swept away – perhaps it was too big, or too vague; certainly it seemed to the panel too little connected to our remit. Let me be specific here in a way I wasn’t then. What I want to know is this: how has her unimaginably deprived upbringing and lack of parental involvement somehow led to the most impressive vocabulary in my year 11 class, and the most advanced understanding of literature? How are her difficulties translated into A*s, and other students’ difficulties aren’t? The woman next to me wrote two words on my notepad as the discussion continued: Mindset. Dweck. I had heard of this book; indeed I felt I had based my educational beliefs on its central premise without even reading it: all children can learn, all children can grow their intelligence. The ability to attain academically is created, not inherent. When I finally got round to reading this book, then, I confess I was already willing it to be great. And, if you strip away two thirds of the anecdotes, it really really is. This statement clearly reveals the student’s mindset; what it does not reveal, however, is what has happened in the past to cause this student to be in set 5: not lack of intelligence, but lack of effort. What has happened in her education that she hasn’t put that effort in; hasn’t wanted to put that effort in? What challenges has she faced that students in the higher sets have not? Dweck does acknowledge these and other limits, for example when discussing depression. Of course depression is caused by more than a fixed mindset, however she chooses to view the idea through this small prism, and in its own way it contributes to psychological discourse without seeking to define it. This is a text all about work, and anyone who knows me will attest that work is my favourite thing. The central premise of this text was transformative for me: if more effort leads to more success, we’re just hours (perhaps ten thousand?) away from really amazing things. More valuable than this, of course, are the implications for my students. I have long found that time spent convincing kids they can do something will always pay off. 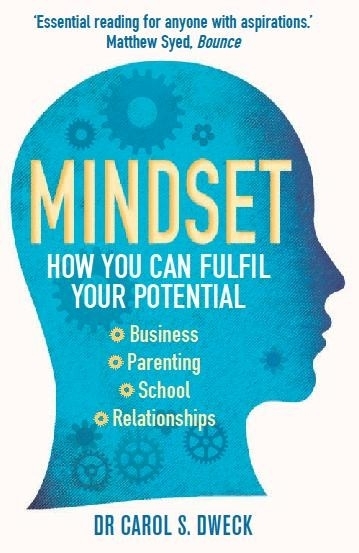 This book gives plenty of help on rephrasing your praise to be more growth orientated (although I draw the line at Dweck’s self-flagellation for accidentally saying her husband was “brilliant” – it’s fine; sometimes language needs to be more fluid than this). So, back to the challenges facing students in education. Perhaps it would not be the worst thing in the world to spend some time investigating how best to grow a growth mindset in our most challenged students. If we cannot cure the social ills that plague our students, can we at least prevent the certainty that they will hold these kids back from achieving their full potential. Yes, I might fail, but also yes – I would become a better educator for that experience. As one anecdote reads: “if you only go through life doing stuff that’s easy, shame on you.” Shame on me. Let’s see how I fail better next time. As an English teacher, the goals I have for my students tend to be simple: I want them to achieve a great grade at the end of their English experience, and I want them to love reading – now, and forever. Year 10 and 11 are mostly about the former aim: we work as hard as we can to ensure students “do well” in an academic sense. We need, due to time pressures, to prioritise this aim. For me, this makes year 9 all the more precious. I am blessed to work in a school which trusts me to do what I feel is right for my classes, and what I have decided to do with my year 9 is to invest time in my second aim. To begin with, reading lists (of which more, later). How can we expect students to know what to read on their own? I didn’t enforce reading from the list, but most students did. I had a wonderful, warm, fuzzy moment a few weeks ago when I realised almost every student was reading a recommended book. Then the students started reading books not on the lists, and enjoying them. And then recommending that I read them – more on this later too. When I asked my year 9 one jittery session (yes, it still happens; they still find the reading hard at times, particularly towards the end of the day or the end of the term) why they thought we read at the start of every lesson, I received some valuable responses. One student, however, noted that they believed it was “to calm us down so we start the lesson ready to learn.” I hadn’t even considered this, but given the fact that I was essentially curtailing a 50 minute lesson and making it 40 minutes, I realised then that I’ve always managed to get a lot done with this class. The student was right – we begin the lessons in a focused and calm mindset. This only strengthened my belief in the silent reading starter. But more than that, I really hope that my year 9 students can continue to love reading. These students deserve more than just a cookie-cutter course designed to allow them to have a grade on a piece of paper. English is about so much more than that. If these students can learn to love to read, I will have done my job.